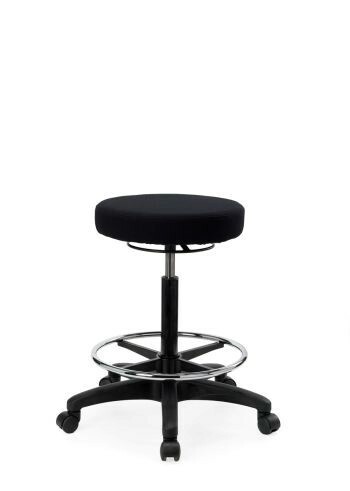 The Seated Stool Seat features a 360 degrees control ring to adjust seat height and is a more comfortable utility seat for use in areas such as mechanics, factories, and hairdressers. 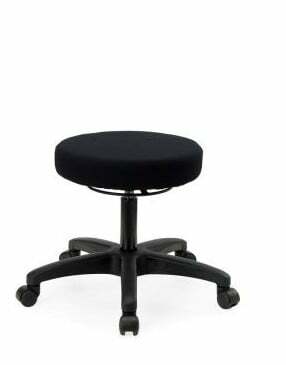 Made of food grade Polyeurothene base, with an upholstered Seat, excellent for comfort in harsh working environments. 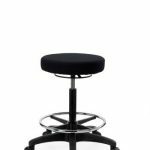 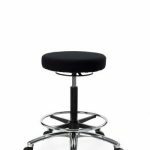 The Seated Stool is manufactured from polyurethane base with a Comfortable High Grade Foam and Black Fabric or Vinyl upholstery and is suitable for use in harsh environments with acid, grease, welding, and flammable materials.. 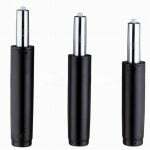 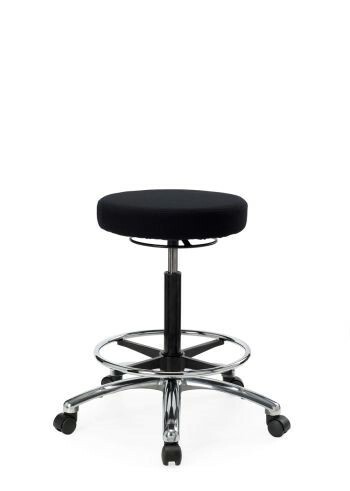 It Features, Adjustable Height, Lightweight Easy To Adjust Gaslift and an upholstered Seat.